We aren’t the only ones who are ascending in this potent and transformative time – the planet we’re blessed to live on is also experiencing an ascension from the third dimension to the fifth. Some channeled sources have told us that Gaia’s already completed her ascension process and waits for her surface to catch up, but whether or not she’s already ascended, she’s experiencing this process right along with us. I think we should love, respect and nurture Gaia far more than we have, and it goes without saying that all of the destruction and mayhem humanity feeds will need to come to an end. We need to stop polluting our planet if we want to help her (or ourselves) ascend, and even though most of humanity wouldn’t be open to what I’m about to say, we can actually communicate with Gaia in our minds and hearts if we want. 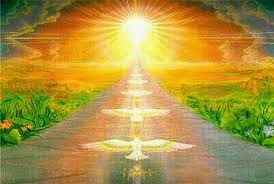 Is it difficult to believe that we can connect with the spirit of the earth and receive a wealth of flowing advice and guidance related to our individual and collective ascension paths? We certainly can, but like anything else, our beliefs and what we choose to accept as reality will become reality. If we believe we can telepathically communicate with the spirit of our evolving earth, then we will. In a lot of ways, we simply have to embrace this idea to experience the flowing fruits of our belief. 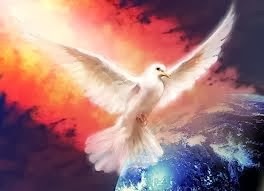 Gaia’s experiencing a physical and spiritual ascension just like we are, and something tells me that the spirit of our planet actually strives to connect with each of her human cells so she can help us through our difficult but worthwhile ascension processes. We’ll connect with Gaia in a realer and purer way when we’re back in the higher realms, but while we’re still in the third and fourth dimensions, we’ll have to rely on the greater abilities we’re just starting to access and hone if we want to communicate with her. We might even be able to help her amidst her difficult ascension process, and one of the best (and most obvious) ways we can assist this process is to refuse to feed the pollution and destruction that plague her. We don’t have to live like the rest of humanity, and we can go out of our way to integrate consciousness into our lifestyles and the manner in which we treat the planet that hosts our life. Humanity’s pollution won’t cause us to experience any sort of chaotic extinction-level-event like some people think, but Gaia does have a lot of cleansing to do that could involve natural disasters. The best thing we can do is send as much love as we can muster up in hopes that it mitigates any damage her necessary cleansing could cause, and communicating directly with her could help the whole process go smoother. 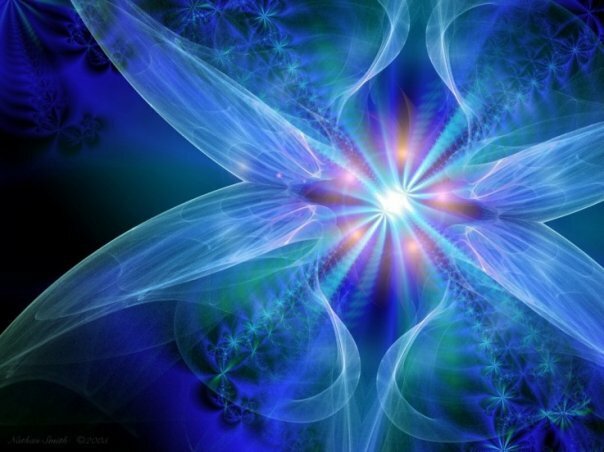 Grounding the greater energy we’re starting to feel into Gaia’s core is one of the best ways to assist with her ascension, the Arcturians through Suzanne Lie explain. “This decision to consciously unite with your Galactic and/or Celestial energies, and to ground that expanded energy field in the body of Gaia is the first step towards assisting Gaia with Her Ascension. 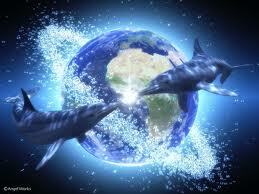 Remember, whatever Gaia’s Beings experience greatly affects the entire planet. Gaia made certain ‘promises’ in the higher spheres, just like we did, that have proven difficult to live up to in the lower. The Lightworkers, wanderers, starseeds, etc. incarnated on Gaia to help her live up to her promises and complete her ascension. Every creature on earth is experiencing physical/spiritual ascension, the Andromedan Council through Anna Merkaba tells us, and this includes the animals. “Let it be known that the animal kingdom is going through the exact same allocation of powers and allocations of consciousness. If we want to ascend and help our planet do the same, we’ll have to recognize that we aren’t the only creatures on earth capable of embracing a higher consciousness. “In order for humanity to integrate all that it is to be integrated into the newly-built society, each and every individual must understand that the experience of Gaia’s ascension involves every single conscious being dwelling therein. It should go without saying that we’ll have to unite with the animal kingdom if we want to raise our vibration and ascend, and the sooner we realize this, the sooner we can cease mistreating and disrespecting this planet’s animals and let them live as they’re rightfully intended to. Something tells me that the lower genetic habits of killing and eating other, fellow creatures that are common in humans and animals will fade as our collective vibration rises, and not only humans, but animals will cease eating one another when we can integrate the higher consciousness the Andromedans speak of. We can start these wonderful genetic changes by putting down the meat and turning to healthy, wholesome fruits/veggies/nuts/oats/grains for the sustenance we seek, and even plants will soon be recognized for their higher consciousness and their potential to help mankind see the light. “Arcturian Message: The Stairway of Unity Consciousness,” channelled by Suzanne Lie, September 11, 2014 at http://suzanneliephd.blogspot.co.uk/. “The Andromeda Council”, channeled by Anna Merkaba, June 3, 2014 at http://sacredascensionmerkaba.wordpress.com. Archangel Michael via Linda Dillon tells us that our ascension has to take place on every level – from the most apparent to the most hidden. “The integration of newly-distributed energies must occur on all planes: physical, emotional, spiritual, and material. And each and every cell of each organism dwelling on Gaia is to be prepared for even more of what is to come. Humanity’s the only species on earth that hasn’t yet begun the greatest aspects of our ascension process. This will change as we continue to become aware of spirit and use our awareness for positive and progressive purposes, and before we know it, all of humanity will be aware and willing to do what’s required to move into the light. Those of us who actively raise awareness still have a lot of work to do to help the rest of humanity become aware, but with time, effort and patience, the rest of the world will open up and embrace a spiritually open perspective. They’ll be very glad they did, because our human collective will catch up with the rest of Gaia’s creatures, who are already very well into their ascension processes. The conscious community’s probably further along the path than most of us think or assume, but the problem is that most of humanity has yet to catch up. We’re pioneering the experience of ascension for the rest of the world to benefit from, and when the time comes, everyone else will use the ascension paths we’ve already traversed as reference points for how they should traverse their own paths. Once we’ve ascended, AAM shares, we’ll perceive our equally ascended earth with a sparkling hue. Steve Beckow: “Lord, question: Will Gaia appear different to a person who has ascended, or will it not? “It appears more sparkling clean. “The complete communication with the elements, the elemental, the kingdoms and Gaia herself is completely open. There is an understanding and a vision of the subtle cleansing and reorganization of what you can think of as the light body and the particles of Gaia herself. So yes, she does appear differently. “And so do the animals. So do the creatures. But it is not a different planet, and that is what so many are looking for. And then I would say to you, well, then, what would be the point? For the planet to appear completely different, to shift like in an ice age, is not desirable. It is not what she wants. 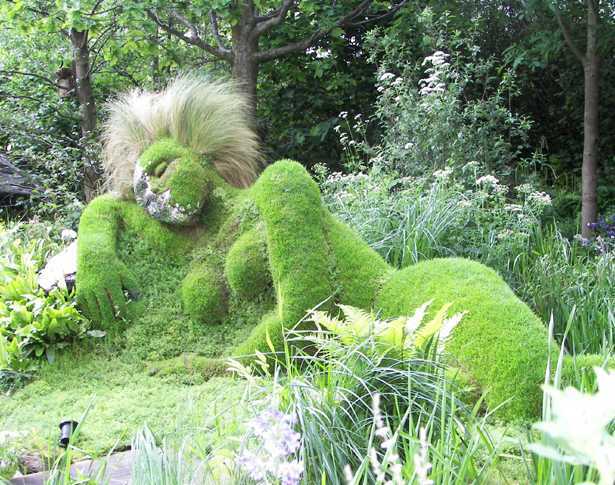 “She is tired of all the pollution and devastation. So the changes that you witness are the clean-up. So, does she, and will she, and will you look different? Yes. But will you be in form? As Ashtar via Philip tells us, nothing – not even our universally honored freewill – will run against the divine plan for our ascension. “Spirit´s Plan for Humanity is implemented – nothing has changed this, neither the present unrest in your world nor your Free Will. “Your Free Will is the most precious commodity that you have received from Spirit and it is, to all who are taking part in the process of the Ascension of the human Collective, holy and surely not to be violated. “But it is not only the uplift of humanity that is dependant upon your Ascension – your Ascension has an effect on the whole Universe. Therefore, your Free Will is holy as a part of the Ascension but it can not and must not lead to the situation where the Divine Plan is not implemented. As we’ll eventually learn, our freewill strengthens the divine plan more than we realize. We’re given the freewill to do, think and say whatever we want here on earth, but in a sense, our freewill will merge with divine will as we continue to evolve. Needless to say, we’ll no longer want to use our freewill to do negative or destructive things, and our focus will be purely on what we can do to help the rest of creation find the brimming and ecstatic vibration we’ll have found. Our freewill has never really run against the divine plan – we simply don’t have a big enough perceptual picture to see how it’s affected by each positive and negative decision we make. Our higher selves and guides know exactly how the decisions we make will affect the ascension plan, and even though they’d never interrupt or violate our freewill, they do step in at times and attempt to positively influence us so our decisions continue to be in alignment with the path we’ve chosen for ourselves. We can actually use our willpower to ‘adjust’ the divine plan, Ashtar shares, and this is apparently what we did when we decided to collectively ascend. “Is it possible to adjust and to modify the Divine Plan by your willpower? “Of course – as long as it is compatible with the Plan, as happened when humanity decided to ascend collectively. 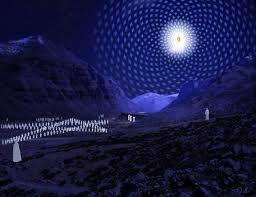 “First of all, it should not mean that Gaia and her inhabitants have to stay much longer in the lower vibrations. 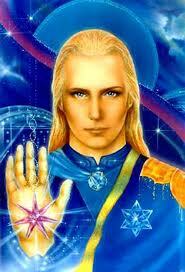 Our individual freewill affects our collective freewill less and less these days, Ashtar shares in our final quote. I’d imagine this is so those who want to ‘maintain the status quo’ as Ashtar said don’t continue to negatively influence our ascension, and it’s interesting that our individual thoughts and actions don’t affect the collective as much as they once did. It might be a good thing, because even the most receptive seeker falls into darkness every now and then. This information from Ashtar seems to strengthen the importance of the conscious community coming together to solidify our revolution of love. Our individual ability to influence our collective manifestations is apparently diminishing, and this makes it even more crucial for us to come together with love in our hearts and the willingness to work together to transform the surface of this once lost planet. As we go about our days, I think we should remember that a living, conscious being hosts our life who’s experiencing the same ascension process as us. Gaia loves and cares for each of her children, and I think we should keep this in mind the next time we’re about to do something that could potentially hurt her. If we attempt to connect with her, we might just receive a wealth of flowing love, advice and guidance that we can use to make our individual ascensions easier, and I’m sure our channeled sources will continue to tell us all about our ascension from Gaia’s perspective. The realization that she’s experiencing ascension just like us will help us integrate consciousness into the manner in which we treat her, and I look forward to the time when all of humanity can see that the things we’ve been doing to our planet affect her severely. “Ashtar Speaks: Update on the Present Clearing Process,” channelled by Philipp. 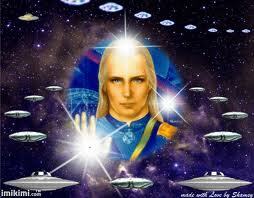 May 13, 2014, at http://goldenageofgaia.com/2014/05/15/ashtar-speaks-via-philipp-update-about-the-present-clearing-process/.